A Special Joint Task Force conference brings together Papua New Guinea and Australian disciplinary forces that will work towards providing a safe and secure Asia-Pacific Economic Cooperation (APEC) Summit in 2018. Royal Papua New Guinea Constabulary Assistant Commissioner Naua Vanuawaru, officially opened it today at the Stanley Hotel and will end on Friday. The Conference is jointly planned and facilitated by the Australian Federal Police (PNG-APP) and funded by the Australian Army Headquarters 1ST Division under the Defense Cooperation Program (DCP), and included around 20 Papua New Guinea Government Agencies. The purpose of the Conference is to develop an inter-agency development and co-operation strategy to deliver a safe and secure APEC 2018. Members from both nation’s disciplined forces will also attend Exercise Long Reach this week with personnel drawn from the Royal PNG Constabulary, Defense Force, Correctional Services, the Australian Defense force and the Australian Federal Police. 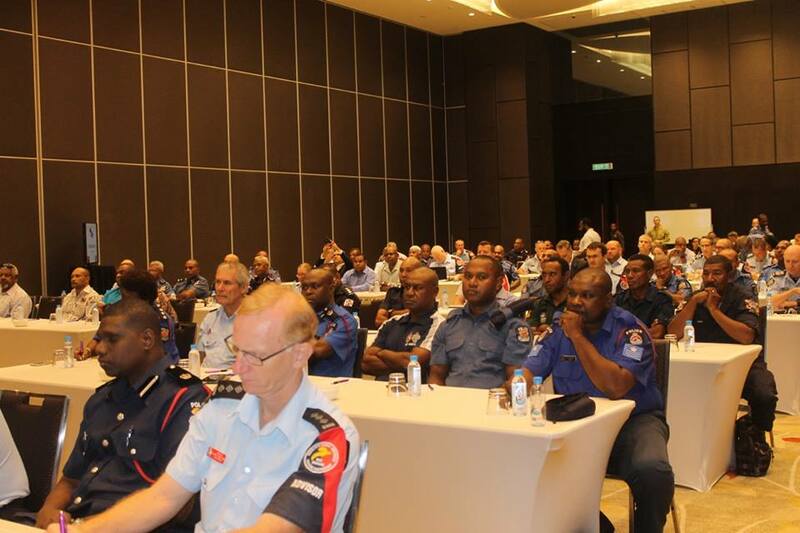 Assistant Commissioner Vanuawaru said the exercise would assist in enhancing interagency command arrangements that are necessary for effectively managing high profile security events, such as APEC 2018. “This particular exercise will focus on building the JTF Headquarters Structure, and the command, control, coordination and communication requirements for the execution of security operations during APEC in 2018,” the Assistant Commissioner said. He said Exercise Long Reach 2016 intends to assist JTF members and stakeholders to facilitate local solution to APEC planning and requirements, relying on effective and meaningful cooperation between all agencies involved to deliver a safe and secure and successful APEC 2018. Lieutenant Colonel Campbell Paine of JTF said that part of its responsibilities would be to promoting Port Moresby and the country as a secure destination for the APEC Summit. He said the JTF would look closely at its capabilities now and take stock of what is need in order to build the headquarters to the required standards. The workshop will close Friday with the hope of devising a strategic operational plan for the APEC 2018 Security and JTF structure. Members from both nation’s disciplined forces will attend Exercise Long Reach this week with personnel drawn from the Royal PNG Constabulary, Defense Force, Correctional Services, the Australian Defense force and the Australian Federal Police.